One of the perks of working in the Logistics industry is that you can take advantage of its skillsets at any time! At R+L Carriers, we believe in investing into a variety of candidates, such as high school, college, and trade school students, many of whom are at different stages in their life. 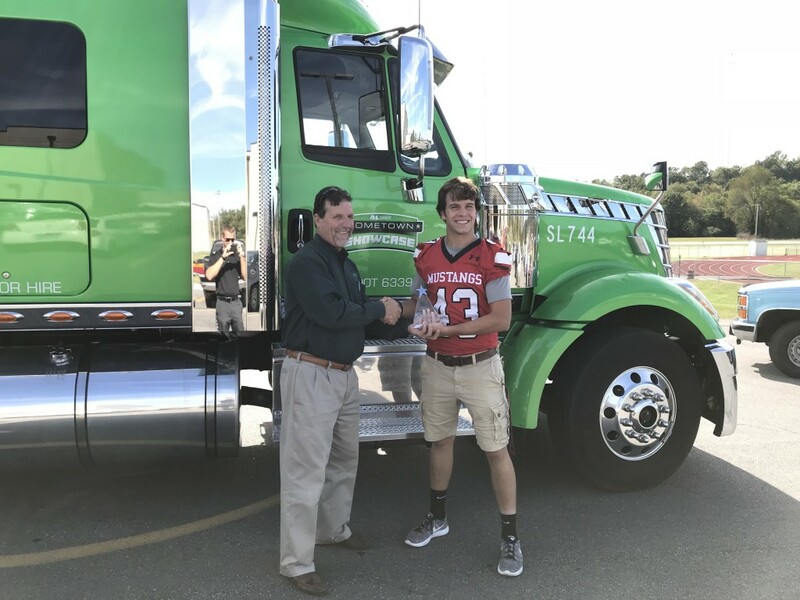 The Hometown Showcase hauler traveled all the way to Missouri to talk to the students of Crowder College and McDonald County High School on Sept. 28 and 29. With two of our Service Centers stationed in Missouri, we wanted to capitalize on the opportunity to introduce these students to an important industry that provides a variety of options for their future right in their backyard. On Sept. 28, the Hometown Showcase team set up the hauler in front of Crowder College in Neosho, MO for students to interact with and get hands-on experience. 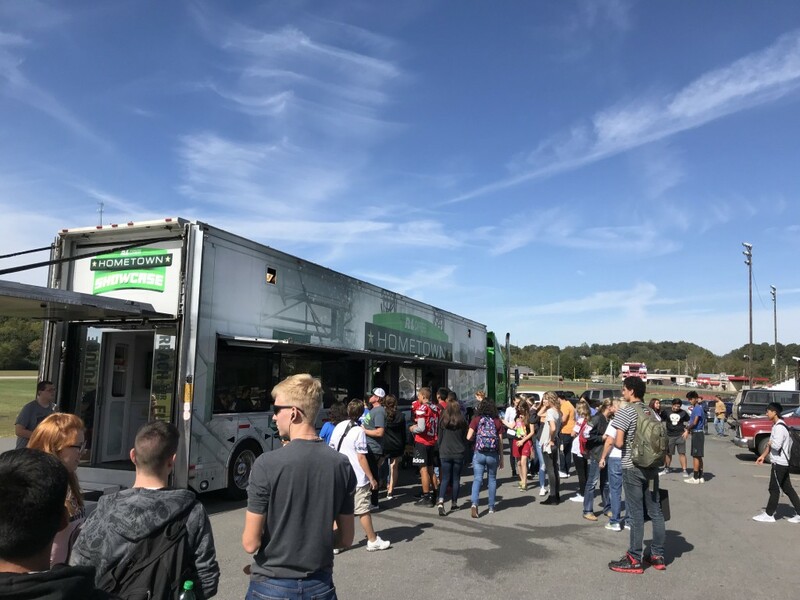 From looking at the engine of the hauler to interacting with different portions inside the trailer like the Bose Seating simulation, students had a great time learning about the different positions that R+L Carriers has to offer. After this visit, many applications were filled out. Since Crowder College is a community college, students consist of both college and high school students. The next day, the hauler drove down the street to hang out and talk logistics with the high school students of McDonald County High in Anderson, MO. At R+L Carriers, we strive to provide students with the knowledge of a career that has many options. We understand that some students in high school have not selected a career path yet. At R+L Carriers, we strive to provide those students with the knowledge of a career that has many options. The logistics industry is vital to the function of our everyday life. The industry also shows no signs of a decrease in growth. There are plenty of jobs available for those with a variety of different skillets. During the school day, The Hometown Showcase team gave a presentation to each class about logistics and its impact on our everyday life. The students also had a chance to interact with the hauler and see the exciting parts of the company with hands-on experience. Students also applied for R+L Carriers’ positions at the event. Later that night, The Hometown Showcase hauler parked at the football game, where the McDonald County Mustangs beat the Monett Cubs 21-18 in a close and exciting game. The fans at the game got to enjoy the game and interact with the trailer. Bucky H., was the winner of the Hometown Achievement Award, received before the game. It wasn’t only the win that made this evening so great, but The Hometown Showcase team also got a chance to donate $1,000 to McDonald County High School and present a $1,000 scholarship to a student of the school’s choice. Bucky H., the winner of the Hometown Achievement Award, received the award before the game. Congratulations, Bucky! Our visits to Crowder College and McDonald County High School were full of fun and logistics. We always enjoy educating students about the industry and what it has to offer. 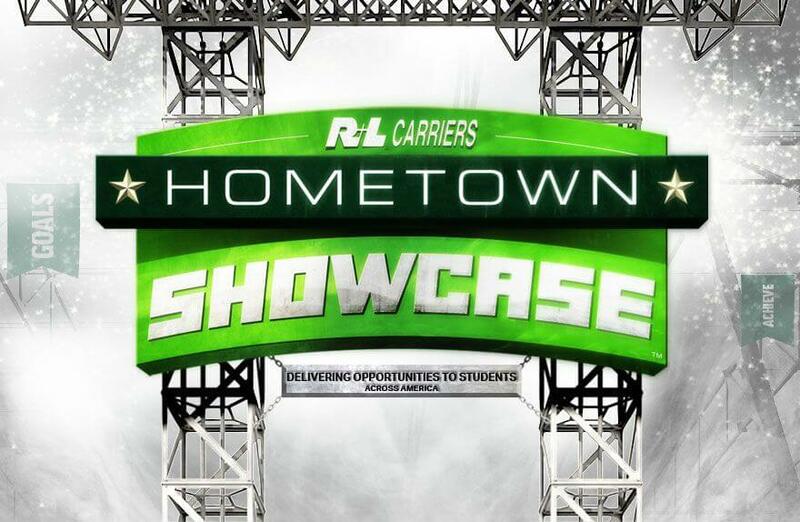 Are you interested in the Hometown Showcase coming to your school or next community event? We are actively scheduling future events. Contact us today for more information!